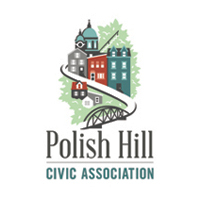 In anticipation of a loss of federal funding that will reduce our total budget by approximately one-third, it has been determined that the Polish Hill Civic Association (PHCA) organization will no longer be able to sustain its sole full-time staff position. As a result, the PHCA office will close its doors as of August 15. Beginning September 2015, the Polish Hill Civic Association is no longer eligible to receive Advisory Commission on Community-Based Organizations (ACCBO) funding. To be Community-Development eligible (CD eligible), at least 51% of residents must be low income, as reported in the Winter-Spring 2015 issue of our newsletter and at some of our community meetings. In September 2014, the PHCA was notified that the Department of Housing and Urban Development is now using the data set from the American Community Survey to determine CD eligibility. This survey, which gathered data from a select group of Polish Hill residents, indicated that 41.73% of residents are now low income. Losing our CD eligibility will mean an elimination of all ACCBO funding and more difficulty securing Community Development Block Grants (CDBG). This will result in a reduction of what the PHCA receives in government grants by at least $30,000, but more likely around $40,000 — more than 30% of our total funding. The majority of those dollars cover the PHCA’s operating expenses, including staff salary, some consultant and accounting fees, utilities, office supplies and more. Given the financial reality, the PHCA board determined that we could no longer sustain a full-time community-oriented staff position. 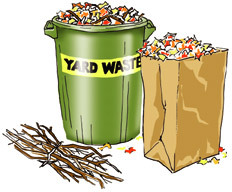 This also means that we will need to reduce or eliminate the services that the staff person provided, such as the quarterly newsletter, website and blog, outreach and assistance to residents, community events, professional consultation about development in the neighborhood, and much more. The board realizes that some type of staff presence is a crucial part of what the PHCA offers to the neighborhood, and we are exploring ways to achieve some part-time staffing. The most likely way to do this would be by partnering with other community-based organizations near us. The board is exploring several opportunities to partner with other groups to create a shared staff position that would be focused on fundraising and grant writing. In September 2014, after being informed that a substantial amount of our federal funding would end in August 2015, the board realized that the most urgent task for the organization in 2015 would be to create a transition plan and to seek alternate sources of funding. After determining the organization’s greatest needs and the neighborhood’s highest priorities, the discussion of how to do raise the dollars to fund those needs and priorities began in earnest at the July 15 board meeting. At that meeting, the PHCA board began developing a plan to reach out to friends, residents, and stakeholders of the neighborhood who care about the community health of Polish Hill. We ask everyone to pitch in whatever support they can to enable the PHCA to remain active in improving the lives of all the neighborhood’s residents. Please contact our office at 412.681.1950, or email phca@phcapgh.org. Please keep an eye out for several initiatives that will be coming out of the Fundraising Committee in the weeks ahead, which will likely include crowd funding, individual contacts, matching donations, and many other strategies. We would love to have your help in meeting our fundraising goal. Please let us know if you are able to help us on our path forward, or if you have any questions. 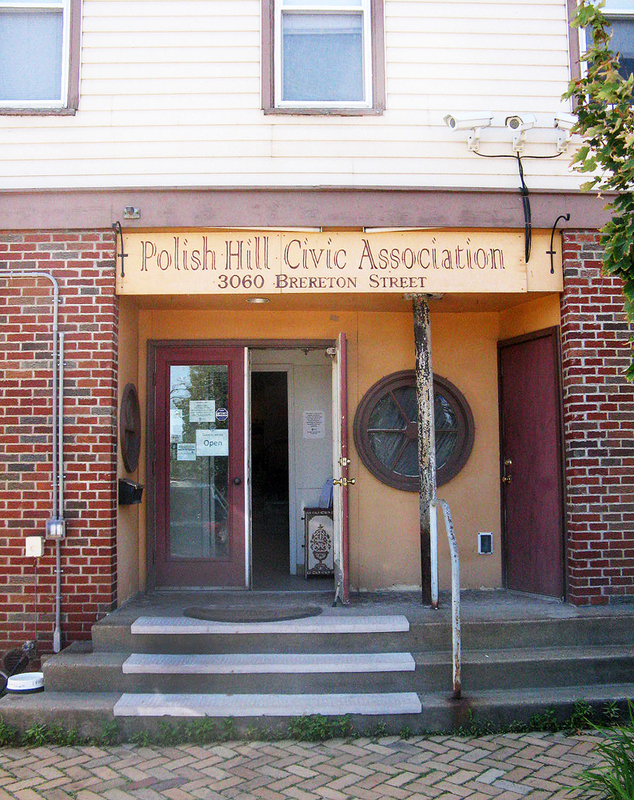 The Polish Hill Civic Association has been a presence since the organization was established in September 1969. Initially the office was in the Immaculate Heart of Mary Church. Shortly afterwards, through the assistance of Rev. John Jendzura of IHM, the organization was able to acquire the building at 3060 Brereton Street. In the following decades, the organization managed to keep its office open, usually just for a day or two a week with a volunteer staff. In the 1980s, federal funding was secured to pay a part-time staff person. Aside from a brief period in the early 2000s, the organization kept moving forward with a combination of part-time staff and volunteers until 2009, when office hours expanded to five or six days a week and fulltime staffing. Polish Hill residents can be very proud that this tiny community group, operating on little or no money, was able to keep an office open for almost fifty years. A debt of gratitude is owed to all the people over the years, who fought to keep the organization alive and growing. Thanks to all of them, Polish Hill is the growing and thriving community that it is today. Leslie Clague has been a quintessential part of the Polish Hill Civic Association since 2008. Working first as a volunteer and then hired as office staff, she has served as the editor, writer, photographer and archivist of the Polish Hill Voice, shaping the voice of the organization in a huge way. 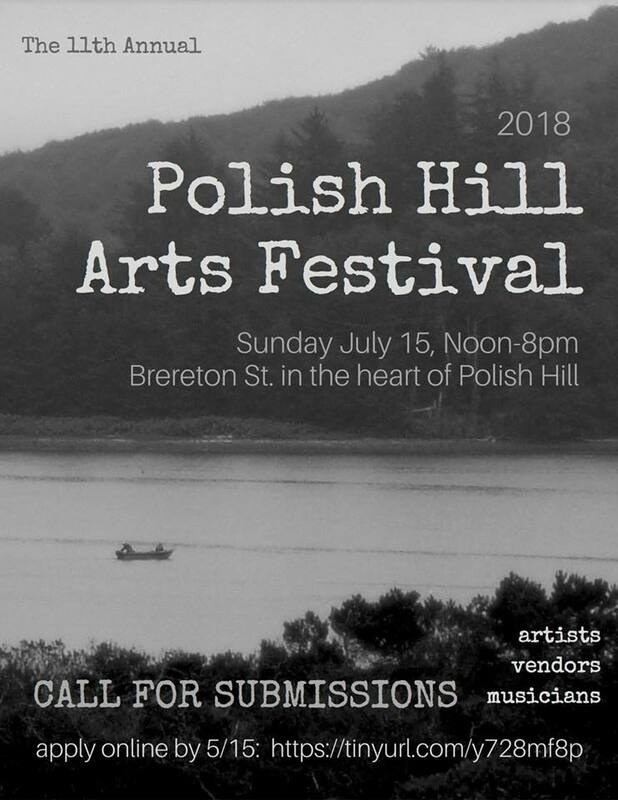 She coordinated the Polish Hill Arts Festival for eight years, raising funds for the event and coordinating dozens of performers, vendors, city offices and volunteers to deliver the community a remarkable experience unlike any other in the city. She helped organize community meetings, provided office services and assistance to neighborhood residents, managed building facility issues, and so much more. She has served as the consistent face of the organization, being the trusted bridge between the “old-timers” and the “new folks.” In other words, she has served as an indispensable part of the organization and the PHCA and the neighborhood will struggle to find a way forward without her. At this meeting, find out about the future of the PHCA and what’s being done to move the organization forward. Meeting will be held on the lower level of the West Penn Recreation Center, 450 30th Street. All are welcome. The Polish Hill Civic Association is excited to announce the results of the PHCA board election. Our new president will be John Rhoades. Valerie Testa will be Vice President, and Kalie Pierce will be 2nd Vice President and Membership Chair. The six directorships up for election were filled by: Susan Atkinson, Mark Knobil, Catherine McConnell, Myrna Newman, Josiah Parkinson, and Ruth Rizner. All terms are for two years. Congratulations to all the winners. They will be sworn in at the January 6 community meeting, which will take place at 6:30 p.m. on the lower level of the West Penn Recreation Center. We are grateful to all the individuals who stepped forward as candidates. A record number of people cared enough to be willing to take on the responsibility and the extensive time commitment of being a PHCA board member. Thanks to all the people who were willing to make this commitment. We hope that all will remain as involved as ever. This year saw strong participation in the board election. It was very encouraging to see so many residents engaged and interested in the organization and its work in the neighborhood. We hope that this interest and engagement continues. The great benefits to our neighborhood come when residents work together. 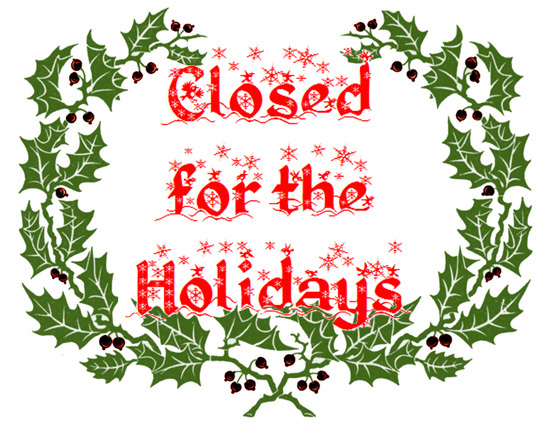 The PHCA office will close at 3:00 p.m. on Tuesday, December 24 and will reopen on Thursday, January 2. We’ll be checking messages, so if you have a question or a concern, please call 412.681.1950 or email phca@phcapgh.org. We’ll get back to you as soon as possible! 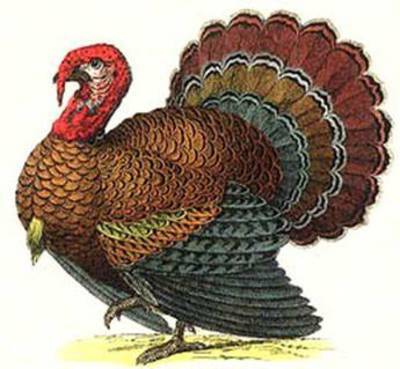 The Polish Hill Civic Association office will be closed Friday, November 1 and will reopen on Tuesday, November 5. If you have any questions or concerns, call 412.681.1950 and leave a message, or email us at phca@phcapgh.org. We’ll get back to you as soon as we can! Okay, more than a few days. The PHCA office will be closed from August 19 – September 2. Board members will be checking the mail, phone, Facebook, and email, so please don’t hesitate to get in touch. You might not get a response as quickly as usual, but someone will get back to you. The office will also be closed for Labor Day and will reopen on Tuesday, September 3.